The Monroe County Post reported on Aug. 30 that Meredith Bonn, RPR, of Webster, N.Y., was elected to serve a three-year term on the Board of Directors for the National Court Reporters Association. The story was generated by a press release issued by NCRA on Bonn’s behalf. Like most professions, court reporting is a world unto itself. We are a tight-knit community of freelancers, officials, captioners, and the like, all bound together by the common language of shorthand. And like any other profession, this community lauds a handful of individuals who consistently perform at the top of their game. They are the people who inspire us, encourage us, and continue to set the standard for all achievements stenographic. So understandably, when I found my­self face-to-face with a handful of these paragons at November’s NCRA board meeting, I couldn’t help but reflect upon my presence there that day. I am a fairly ordinary reporter with a fairly ordinary set of skills, and my credentials struck me as woefully inadequate when faced with the collective genius of the body before me. Still, I sat down amongst the board with my head held high, acting as though I had rightfully earned my place at the table. After the requisite niceties were ex­changed and formalities dispensed with, the meeting commenced. I was instantly struck by the rhythmic discourse amongst the many participants. Ideas and opinions flew back and forth seamlessly; conclu­sions and determinations were reached with natural precision. Lulled into the comfortable ebb and flow of a well-run think tank, I was caught unawares when all eyes unexpectedly landed on me. In my capacity as a representative of the Deposition Reporters Asso­ciation of California, I had arrived at the meeting that morning prepared to rattle off a verifiable laundry list of topics – Cali­fornia legislative updates, the ins and outs of our current membership promotion, the upcoming annual convention – but the opportunity to share a story about myself was a scenario I had not envisioned. However, the moment of truth was upon me, so I offered them a small slice of what I affectionately refer to as my steno journey. The story is probably like many oth­ers you’ve heard: Suburban Canadian girl, hoping to escape the ravages of the snow, treks cross-country to sunny California the summer of her 18th birthday. Girl meets boy; girl makes a series of bad choices; girl ends up a divorced single mom a few short years later. Throw in a string of frustrat­ing, menial jobs coupled with a desire for a more promising future, and voilà! A court reporting student is born. Being a single mom with no immedi­ate family nearby, babysitters were a scarce commodity. The fact that my son had to be dropped off at and picked up from school each day meant that traditional schooling was not an option. After toying with the idea of night school, I finally settled on a fairly new concept at the time: online class­es. The prospect was daunting. Time and self-discipline were in short supply at my household, but I knew I would have to rack up copious amounts of each if I wanted to see this venture through to the other side. The ensuing years would be difficult at best, but compared to a lifetime of finan­cial hardship and job dissatisfaction, the choice was very clear. I grabbed the oppor­tunity by the reins and dove headfirst into a routine of sleepless nights, interminable homework, and tired fingers. After three long and arduous years of juggling online court reporting school, a full-time job, and the demands of a young child, I found myself reading the most beau­tiful letter I have ever laid eyes on: written confirmation that I had passed all three legs of the California CSR. However, the cel­ebration was short-lived. It was now time to plunge into the demands of the working world to pay off the mountain of student loan debt that had accumulated during my tenure in school. Luckily, the work-from-home ethic that I had adopted during my online stu­dent ca­reer provided a natural segue into the late nights spent editing transcripts in front of my computer, and I found myself settling very comfortably into my newfound role as a deposition reporter. My first year reporting resulted in a handful of noteworthy events, the most significant being the opportunity to serve on the Deposition Reporters Association’s board of directors. DRA, for those who are unfamiliar, is the nation’s largest trade association dedicated exclusively to the freelance reporter. As freelancers make up a large contingent of the reporting popu­lation here in California, this organiza­tion proved invaluable in my networking efforts as a high-speed student and a new reporter. It was especially important for me to involve myself with a California-based institu­tion, in addition to NCRA, to keep myself abreast of the ever-changing rules and regulations to which California reporters hold themselves accountable. My passion for the work of this association, as well as the desire to continually promote ethical reporting practices, made board service a foregone conclusion. And not only did my position on the board allow me to interface with some of the best and brightest depo­sition reporters that California has to offer, but it was the very reason that I was lucky enough to be sitting at NCRA’s table that day, breaking bread with some of my court reporting heroes. As I recounted my personal anecdote to the attendees, I reflected on my story as if I was hearing it for the first time. It be­came more and more clear to me that, de­spite my insecurities, I had truly earned my right to sit amongst equals. An acknowl­edgment of how hard I had worked and how far I have come was especially poign­ant when shared with other reporters who appreciated the tribulations of the journey. My story was met with warmth, praise, and true appreciation for the dedication I had displayed for this unique craft that forged our common bond. Every board member went out of their way that day to make me feel welcome, and I left that evening having made a handful of great new friends and colleagues. I walked away from the meeting that day free from my lamentations of inade­quacy. Instead, I was charged with a better understanding of this fantastic institution and a renewed faith in myself and the fu­ture of our profession. Knowing the vast challenges that we court reporters face in this technological age, it is more urgent than ever that we pursue relevancy and ed­ucation in partnership with our state and national associations. However, if I had but one pearl of wisdom to share with you from my experience at November’s meet­ing, it would be this: NCRA is not success­ful be­cause its leaders are vastly superior to the average reporter. 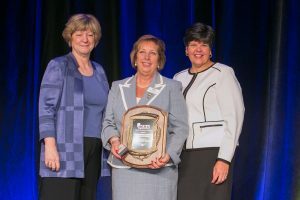 NCRA is successful because the individuals who run it continue to reflect the competency, values, and determina­tion that are at the heart of every working reporter across our great country. I am proud to say that I am one of those report­ers. I would like to extend a special thank you to Nancy Varallo and the entire team at NCRA for their warmth and hospital­ity this past November. I have every con­fidence that 2014 has great things in store for the reporting profession with NCRA at the helm. See you in San Francisco! Cheryl Haab, RPR, is a freelance reporter in Van Nuys, Calif. She can be reached at cherylhaabcsr@gmail.com. NCRA’s Board of Directors addressed a number of issues when it met Nov. 8-9 in Vienna, Va. The board received updates on the Vision for Educational Excellence Task Force, MOOC (massive open online course) program, on-demand testing system, and 2014 Court Reporting and Captioning Week, which is scheduled for Feb. 16-22, 2014. NCRA will retain Ducker Worldwide, a firm based in Troy, Mich., to conduct and complete the Court Reporting and Captioning Industry Outlook as proposed by VEETF. Preliminary portions of the study are expected in the spring of 2014. NCRA Board of Director nominations are now open. NCRA is in the process of selecting qualified candidates to serve as officers and directors for 2014 – 2015. The deadline to submit nominations is Jan. 10, 2014. Nominations should be submitted to boardnominations@ncra.org. 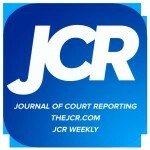 Help lead the Association dedicated to advancing the court reporting and captioning professions. Join us for a Q&A webinar session on Thursday, Jan. 9, at 9 p.m. Eastern, to educate yourself about the rewards and commitments of board service. This briefing will help you gain a better understanding of the process and expectations of serving on the Board. Bring your questions and ideas as the Committee Chair, President, and Executive Director who will facilitate this session. Please contact Laura Butler at lbutler@ncra.org or 1-800-272-NCRA, to participate in this webinar. Help lead the Association dedicated to advancing the court reporting and captioning professions. Join us for a Q&A webinar session on Tuesday, Jan. 7, at 9 p.m. Eastern, to educate yourself about the rewards and commitments of board service. 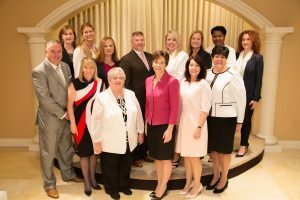 These positions, as a rule, are filled by those who have served or are currently serving on the NCRA Board. 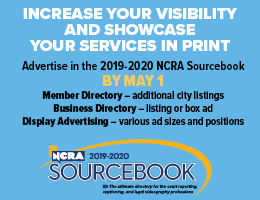 Since NCRA has a membership of 18,000 and a budget of nearly $8 million, service as a director is essential in order for the candidate to understand and fulfill the duties that come with such responsible positions. Only voting members of NCRA may submit individuals for candidacy. These include Participating Members who are verbatim stenographic reporters and Registered Members who are verbatim stenographic reporters, as well as Retired Lifetime Members and Honorary Members who have been verbatim stenographic reporters. Board service is uncompensated and requires significant time commitments. Most expenses involved in Board service are reimbursable. If you are interested in serving or know someone who would make a great Board member, tune in to the webinar on Jan. 7, at 9 p.m. Eastern, and submit the Declaration of Candidacy/Candidate Recommendation form today! No elected officer shall serve for more than one full term in the same office except the Secretary-Treasurer, who may serve for no more than three consecutive terms. Directors may only be reelected if at least one year has elapsed since the end of their prior term. 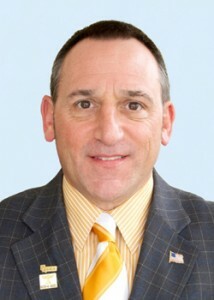 Secretary-Treasurer Steve Zinone is eligible for renomination as Secretary- Treasurer during 2013-2014. All current Board members, including those directors whose terms expire in 2014, are eligible for election to a higher office. 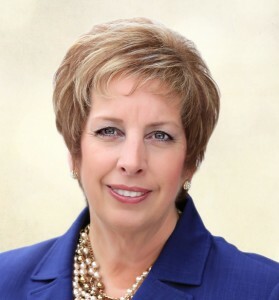 Director Nativa Wood was elected by the membership in 2012 to fill the two year Director vacancy created by Steve Zinone upon his election to the office of Secretary-Treasurer. 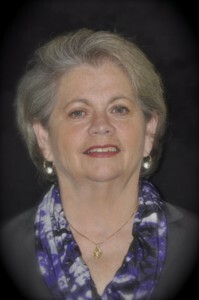 Ms. Wood is eligible for nomination to a three-year Director term in 2014. Take this opportunity to make a difference in the future of reporting. Declare your candidacy or send the names of your recommended candidates to Nominating Committee Chair Tami Keenan, RPR, CPE, c/o NCRA headquarters. Nominations must be received at NCRA headquarters by Jan. 3. If you are interested in attending the webinar on Jan. 7, please send your name and email address to Laura Butler to be added to the webinar invitation list. You can contact her at lbutler@ncra.org or 800-272-6272. Declare your candidacy or recommend a candidate. 4) the qualifi cations of you or said individual brings to the Board of Directors. 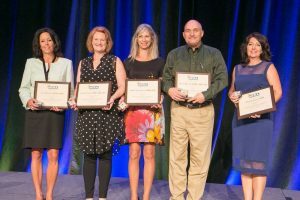 One of the most important and rewarding duties of a member of the NCRA Board of Directors is the opportunity to attend state affiliate conventions. These visits allow board members to meet one-on-one with attendees and discuss the profession’s issues and activities from a national perspective. Be sure to view the Board’s schedule to see which members will be visiting state conventions. NASHVILLE, Tenn., Aug. 9, 2013 — The National Court Reporters Association (NCRA), the country’s leading organization representing stenographic court reporters and captioners, today announced that Nancy Varallo, owner of The Varallo Group in Worcester, Mass., was installed as 2013-2014 President during the association’s annual Convention & Expo being held in Nashville, Tenn., Aug. 8-11. A 25-veteran of court reporting, Varallo is a well-recognized leader in the court reporting field, and owner of The Varallo Group, which she founded more than 10 years ago. 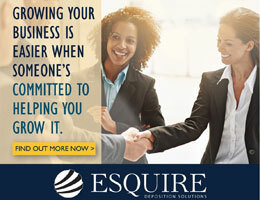 The firm provides court reporting services, as well as a suite of business services to other court reporting firms. Varallo, who served as 2012-2013 NCRA President-elect, holds the professional certifications of Registered Diplomate Reporter (RDR), NCRA’s highest reporting knowledge certification, and the Certified Realtime Reporter (CRR). She is a Fellow of the Academy of Professional Reporters (FAPR), a nomination-only award that recognizes reporters who have contributed to the profession through leadership, publication, service, and professional certification. Varallo began her court reporting career in 1979 and has worked as a freelancer, a court reporting educator, and a CART provider. She has been a continuous presence in national affairs for the association since the early 1980s. 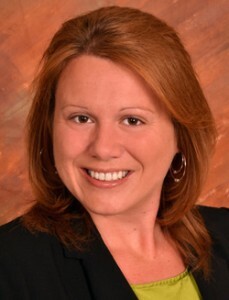 President-elect Sarah E. Nageotte, an official court reporter from Jefferson, Ohio, holds the professional certifications of Registered Diplomate Reporter (RDR), Certified Realtime Reporter (CRR), and Certified Broadcast Captioner (CBC). 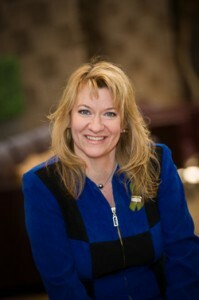 Nageotte previously served as NCRA’s 2012-2013 Vice President. She has been an official court reporter for 15 years and is currently employed by the U.S. District Court in Cleveland, Ohio. She has also worked as an official reporter for the Ashtabula County Common Pleas Court in Ohio, and the Crawford County Common Pleas Court in Pennsylvania. Vice President Glyn Poage, an official court reporter from Helotes, Texas, holds the professional certifications of Registered Diplomate Reporter (RDR), Certified Realtime Reporter (CRR), and the Certified Shorthand Reporter (CSR) issued by Texas. He is an official court reporter for the 166th District Court in Bexar County, Texas. He has also worked as a federal official court reporter, a freelance court reporter, and a court reporting instructor. Stephen A. Zinone, an official court reporter from Canandaigua, N.Y., will serve his second term as NCRA Secretary-Treasurer. Zinone, who holds the professional certification of Registered Professional Reporter (RPR), has served as an official court reporter for the New York State Unified Court System in the 7th and 8th Judicial Districts, and is now assigned to the Ontario County Courts. 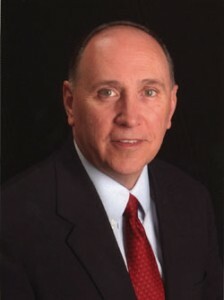 He began his career in 1983 as a freelance reporter and worked as a stenographer in the Monroe County Town Courts, and in the deposition arena. In 1989, he began work in the Monroe County D.A.’s office as a grand jury reporter, and in 1997 he began work with the Federal Court for the Western District of New York. 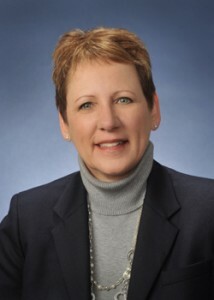 Debra A. Dibble, a 24-year veteran in the court and deposition arena, from Woodland, Utah, who has worked as a deposition reporter in Salt Lake City, since 2002, will serve a three-year term as a member of NCRA’s Board of Directors. She holds the professional certifications of Registered Diplomate Reporter (RDR), Certified Realtime Reporter (CRR), Certified Broadcast Captioner (CBC), and Certified CART Provider (CCP). Dibble has also worked as a reporter in Memphis, Tenn., and as captioner and CART provider since 2010. Michele R. York, a court reporter from Candia, N.H., will serve a three-year term as a member of NCRA’s Board of Directors. York, who holds the professional designation of Registered Professional Reporter (RPR), is a court reporter licensed in New Hampshire, where she works as a freelance reporter. Sue A. Terry, a court reporter from Springfield, Ohio, will serve a three-year term as a member of NCRA’s Board of Directors. Terry holds the professional certifications of Registered Professional Reporter (RPR), and Certified Realtime Reporter (CRR). She has been a court reporter since 1975.